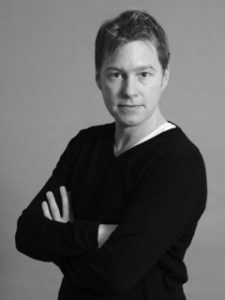 The British-born Duncan Rownes was trained at the Royal Ballet School in London and later danced with Sadlers Wells Royal Ballett. He later joined the Komische Oper Berlin where danced from 1990 to 1999 as a soloist and toured around the world. In 2000 he started his teaching career at the Ballet School of the Basel Theater Switzerland. He has taught classical dance Pas de deux, and contemporary dance worldwide. In 2013 and 2014, he became Professor of contemporary dance at the prestigious ballet competition Prix de Lausanne. As a freelance choreographer and teacher, he created numerous works and taught for several ballet Companies and schools Including, The Royal Ballet School London, The Basel Ballet, The luzerner Ballet, Dance Academy of Zurich, The Beijing Dance Academy, and the Escola de dança do Conservatório Nacional Portugal. Since 2014, he teaches contemporary dance at The Tanz Academy Zurich.